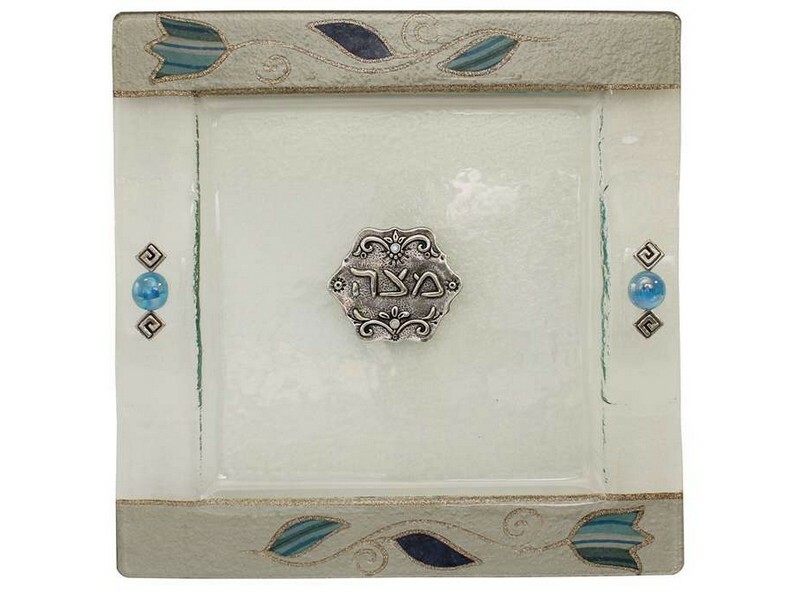 This artistic charoset dish set is part of the Lily Art design collection. 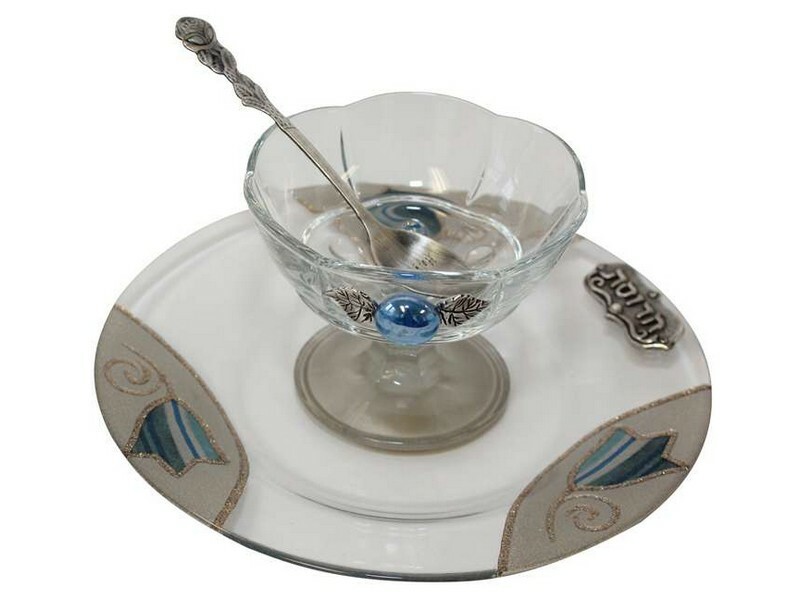 The set includes a glass saucer and a stemmed glass charoset dish. 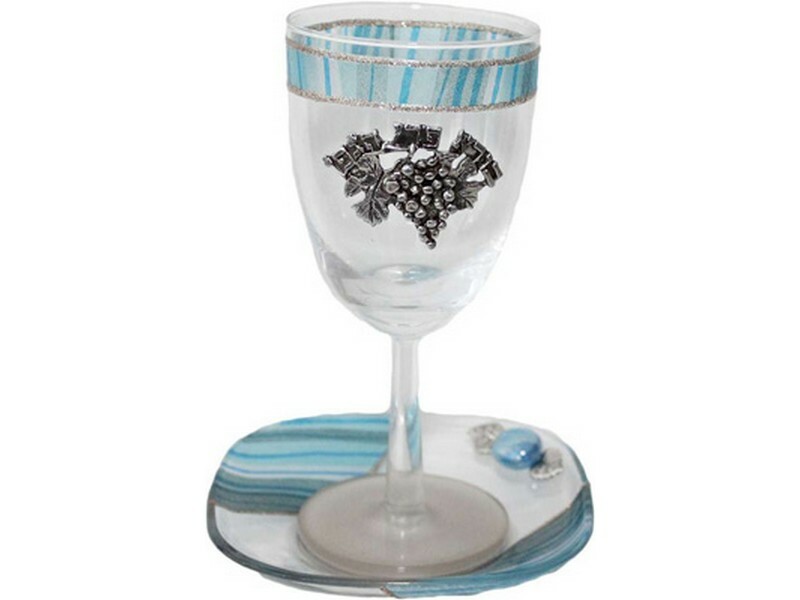 The glass saucer is masterfully color stained with three areas of blue shaded tulips on a background. 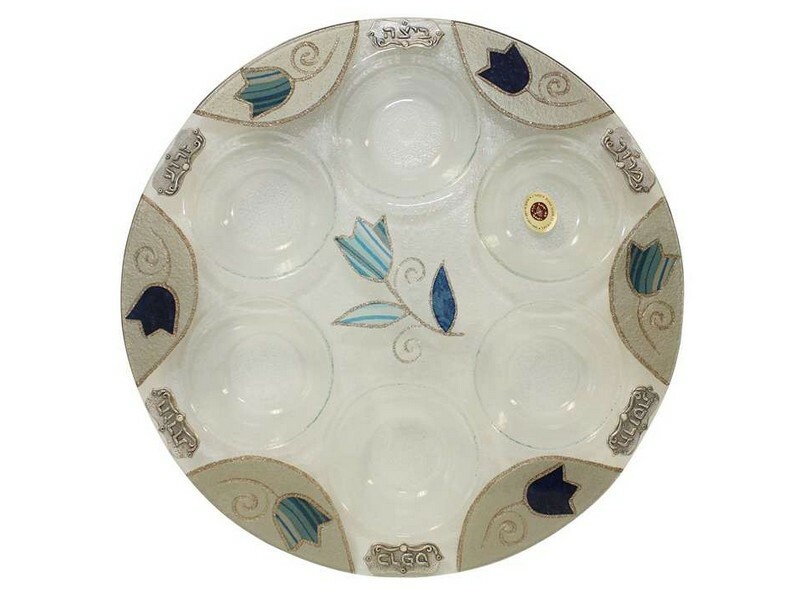 A metal plate with the Hebrew word “Charoset” attached to the saucer. The stemmed dish has a scalloped edge finish with an appliqued style decoration of half of a ball and leaves. The dish set includes a matching spoon.